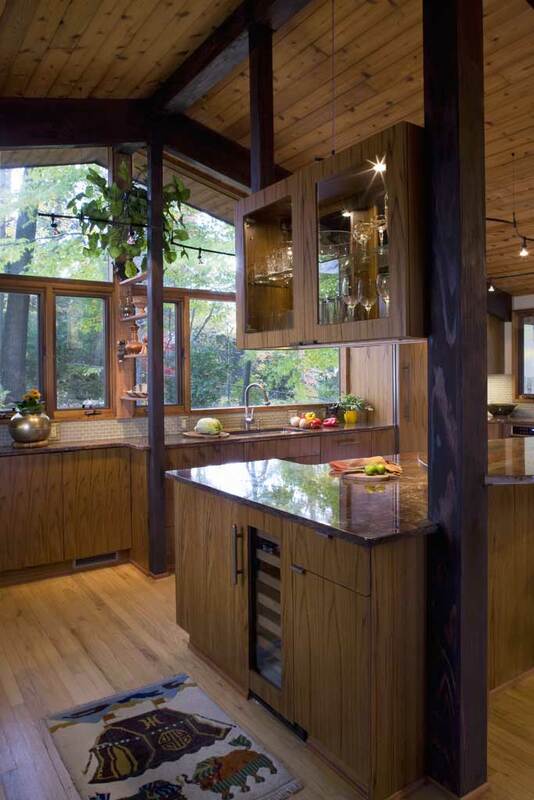 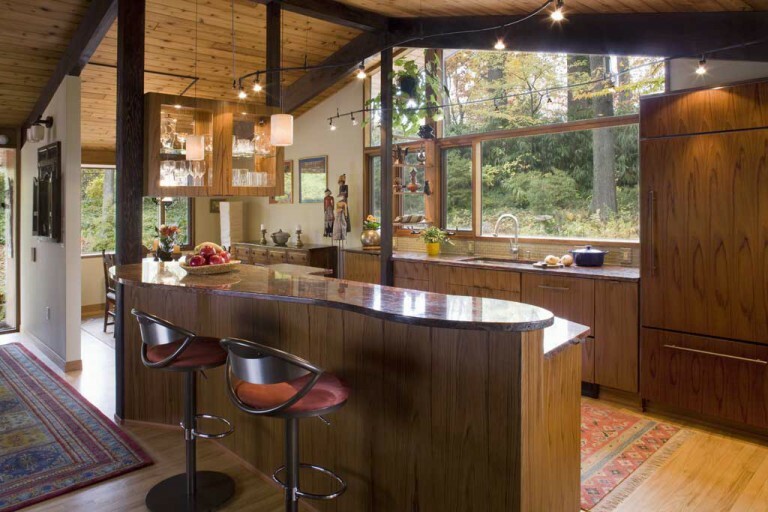 Removed dining room wall from 70’s deck house, created open plan updated contemporary kitchen w/ 3 directional island. 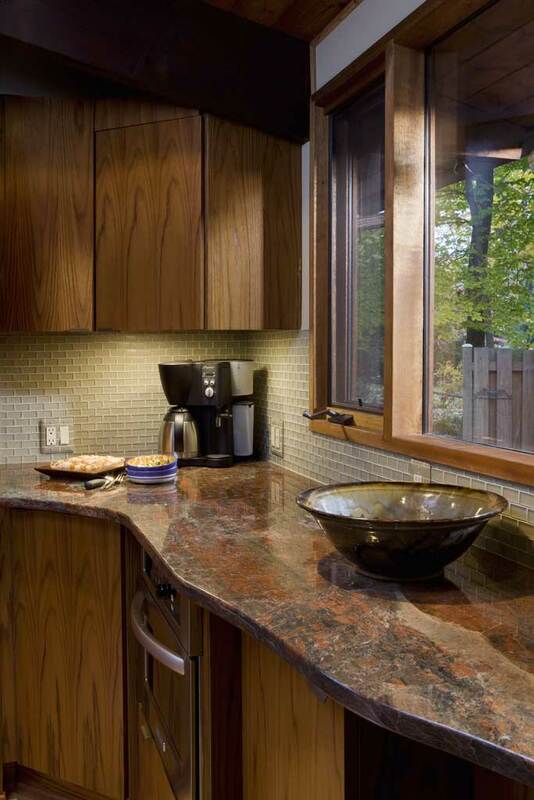 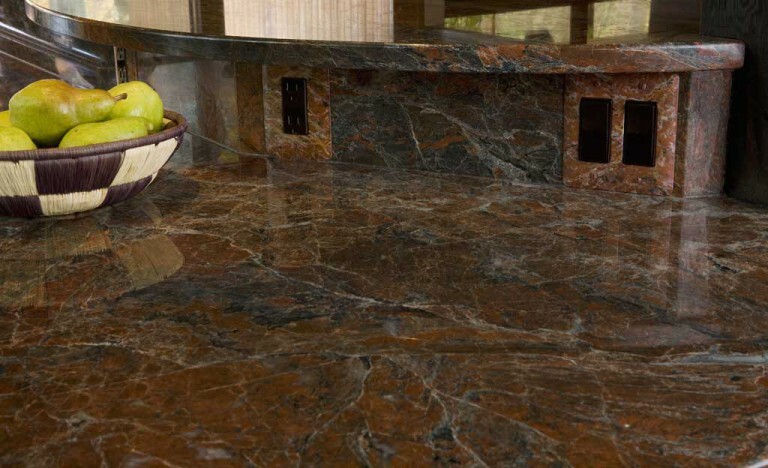 Teak cabinets and Red Hollywood granite continue earthy textures and palettes, connect naturally with outdoors. 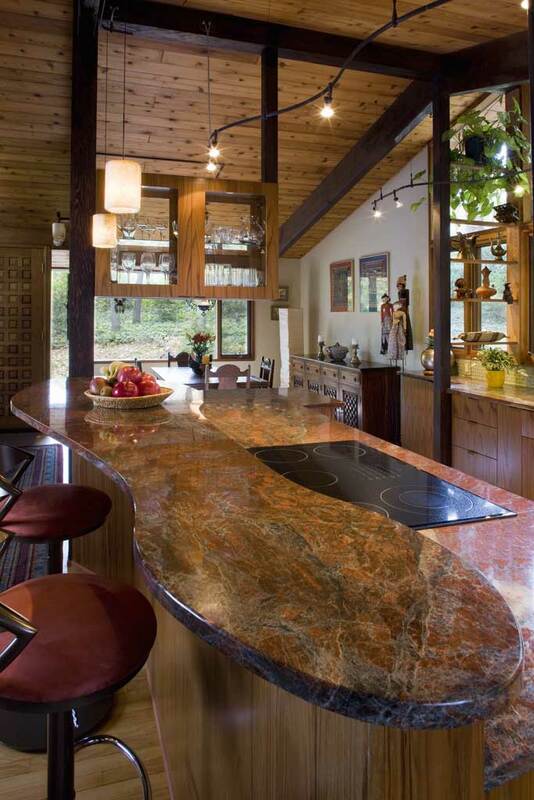 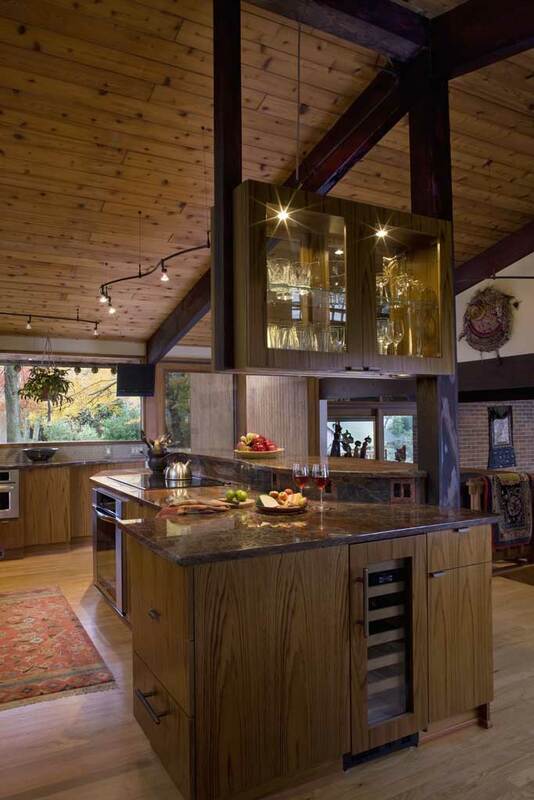 Qualified Remodeler's Master Design Awards 2009 Finalist - Kitchen > $100,000.